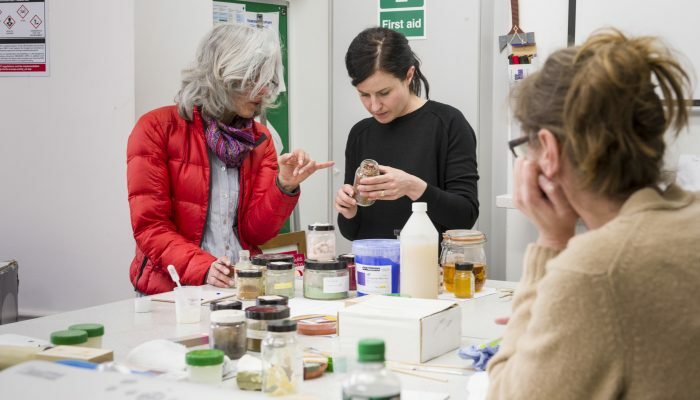 At City & Guilds of London Art School the BA (Hons) Conservation Studies degree course positions Conservation at the meeting-point of science and art – a fascinating blend of state-of-the-art forensics, aesthetics and traditional craft skills. 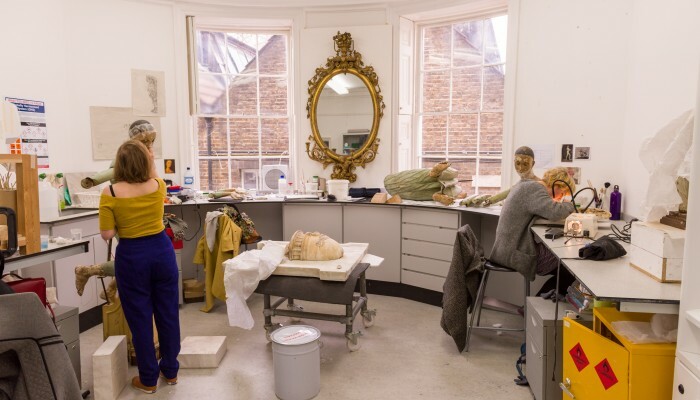 During this intensive, demanding course you will work on a challenging variety of complex live projects, using objects lent by leading public and private institutions. We teach you to manage all phases of conservation practice, from examination, state-of-the-art analysis, proposal and documentation to the treatment itself and future care recommendations. 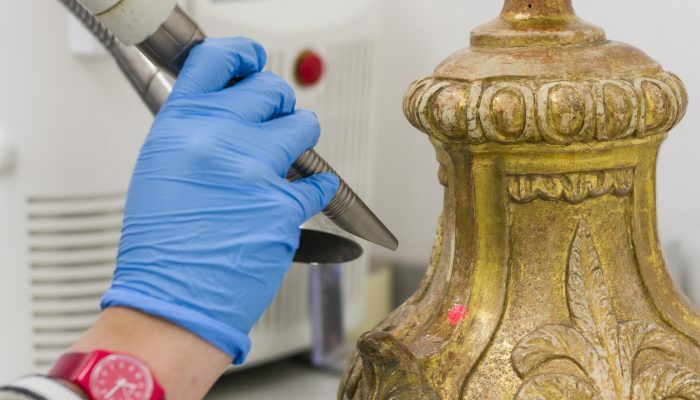 We focus on the conservation and restoration of 3D cultural objects in stone, wood, plaster and terracotta. 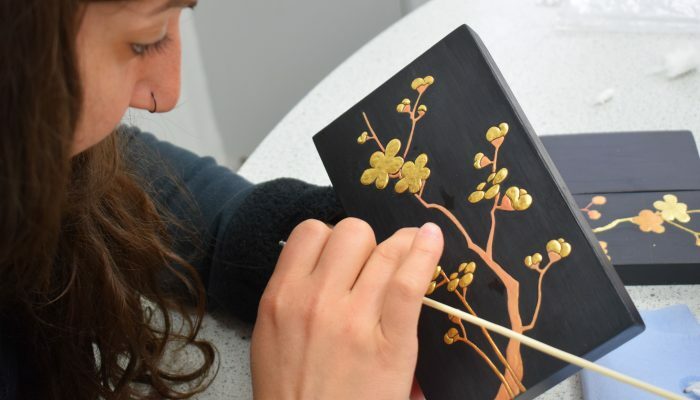 Decorative surfaces such as gilding, polychromy, lacquer and japanning and the conservation of ornate frames are integral to the course. We are planning to offer an additional pathway in Book and Paper Conservation on our BA (Hons) Conversation Studies from autumn 2020. 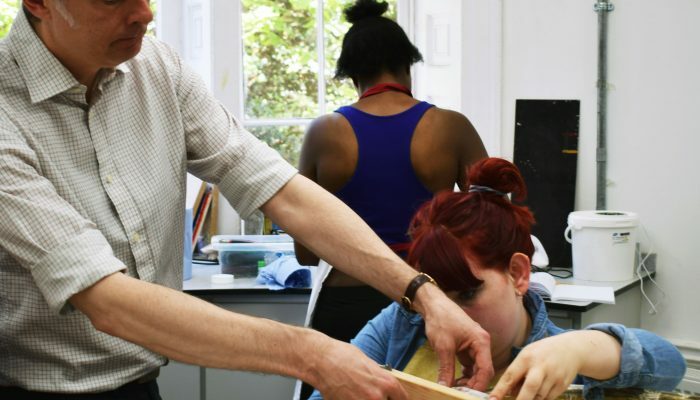 New students will have the option of specialising in the conservation of Wood, Stone and Plaster or Book and Paper. Look out for further updates on this page. This three-year full time course is validated by Ravensbourne University London. Regular checks by the Quality Assurance Agency have confirmed the standard of our provision. Our high standards and results, have been consistent, and have been regularly affirmed by our External Examiners. Read more about the course choosing from the menu on the right or on a tablet or phone from scrolling down.